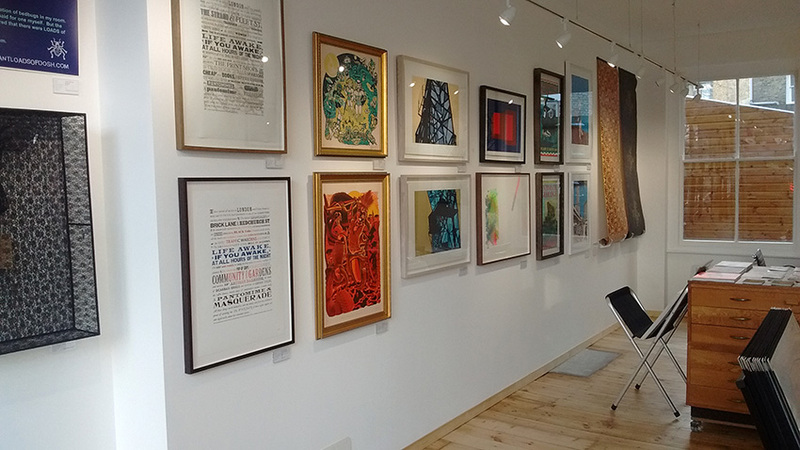 “Excited State” was the successful inaugural show in Atom’s new Stoke Newington gallery, and showed contemporary screenprinting, block prints and letterpress work from 23 diverse artists. 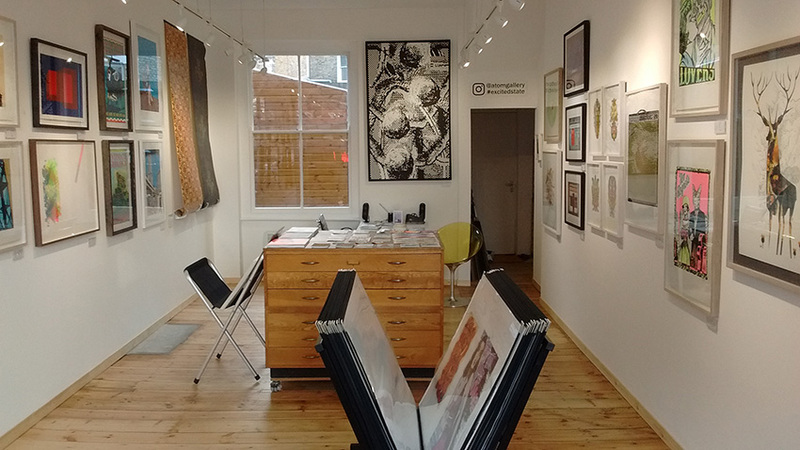 The exhibition ran from 2nd December 2016 – January 27th 2017. 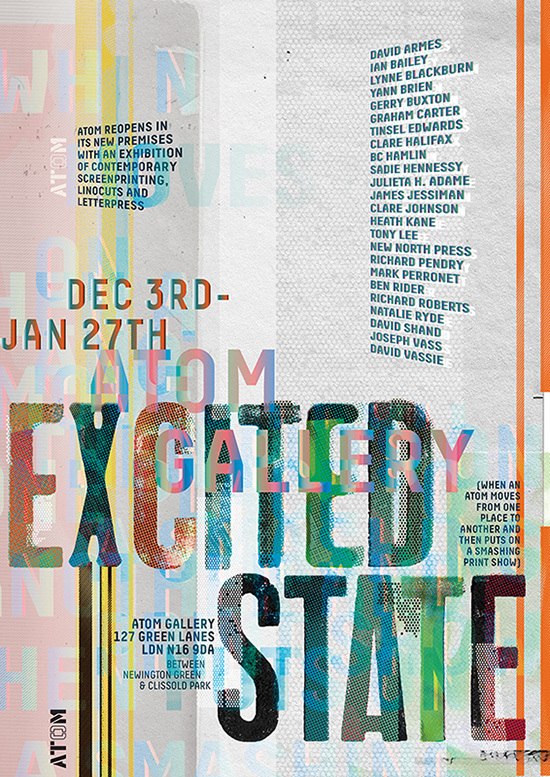 “Excited State” featured new and recent work from David Armes, Ian Bailey, Lynne Blackburn, Yann Brien, Gerry Buxton, Graham Carter, Tinsel Edwards, Clare Halifax, BC Hamlin, Sadie Hennessy, Julieta H Adame, James Jessiman, Clare Johnson, Heath Kane, Tony Lee, New North Press, Richard Pendry, Mark Perronet, Ben Rider, Richard Roberts, Natalie Ryde, David Shand and David Vassie. 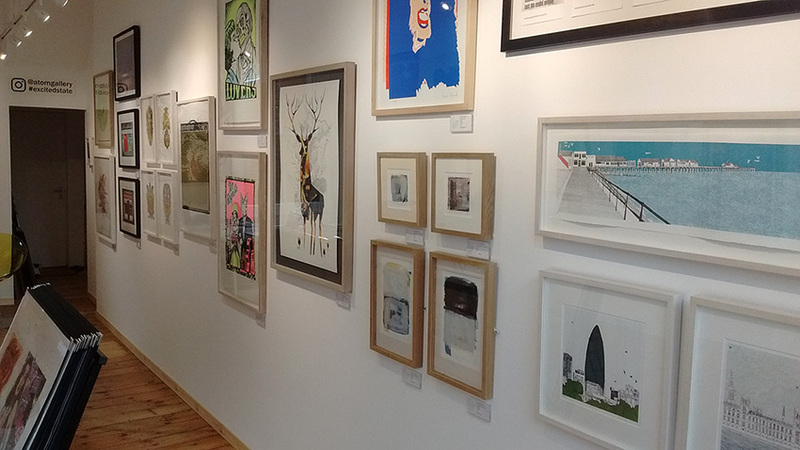 Much of the work from this exhibition is now available to buy from our online shop.